At Meister Werks, we are all enthusiasts. At Meister Werks European & Import in Renton, WA, one block south from The Renton Landing we are all enthusiasts. All of the employees here have projects cars. We involve ourselves in the car community is one way or another. In fact all of our hobbies involve are cars and modifying them. We enjoy going on drives with our friends and co-workers as well. 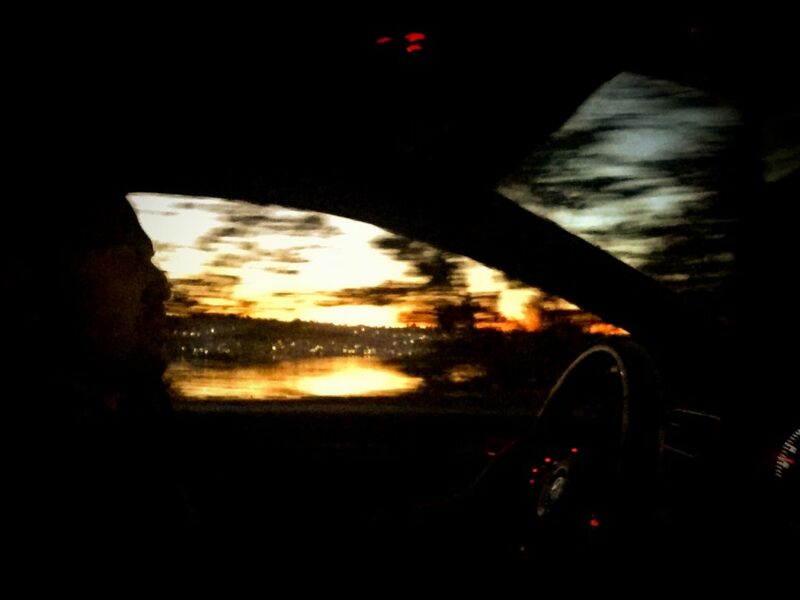 Last week I was on my way home and captured this photo on northbound Lake Washington Blvd next to Coulon park. Next, we know not everyone is into cars like we are. It’s our job to know what we are suppose to know. Our employees spend more than just working hour studying and learning about automobile repair, diagnostic and performance. 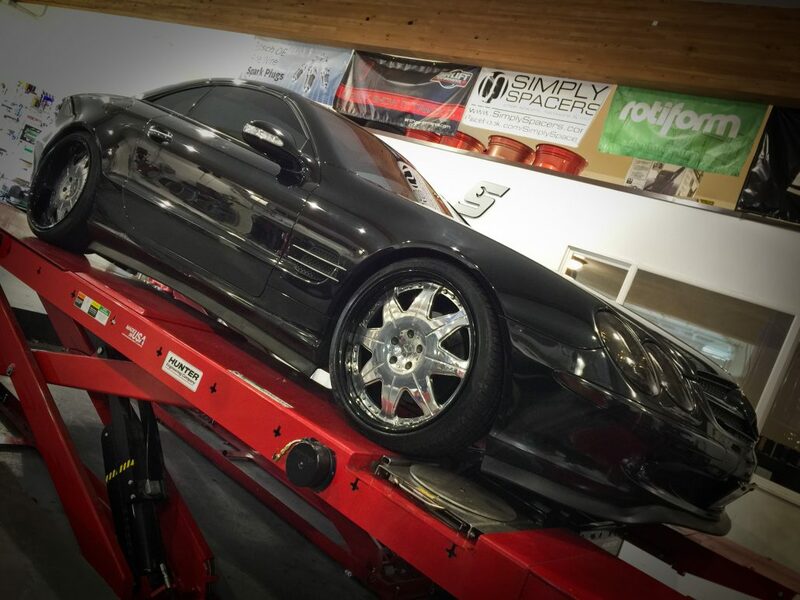 We strive to gain the knowledge to make your car run perfect. So the next time you are thinking about where to bring your car, choose Meister Werks European and Import. We are located one block south from The Renton Landing in Renton, WA. Need a ride to work or can’t make it here. No problem. We can drive you to work (within the Renton city limits) and even come and pick up your vehcile to have it serviced same day. Call 425-254-0627 or E-mail us to make your appointment today. 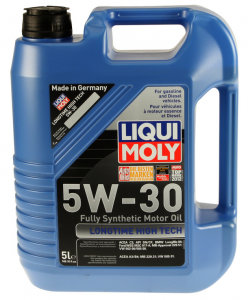 Meister Werks European and Import is now your source for all Liqui Moly Products. They carry everything from spec motor oil, gear oil, transmission fluid, gas / DPF cleaner / additives to even cv axle grease and everywhere in between. 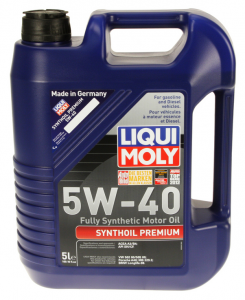 Call us today to see what other Liqui Moly products we have in stock for your European vehicle. We can get most products same day if it’s not in stock. 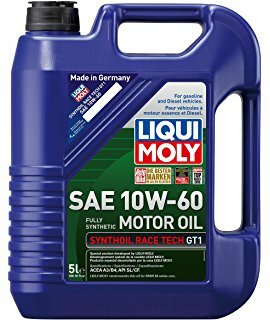 LIQUI MOLY is Germany’s most popular brand of motor oil. For years, awards such as “Top Brand” or “Best Brand” have reflected our excellent reputation among both experts and end consumers. These series victories are anything but a coincidence or merely automatic. They are the result of the daily commitment of our more than 750 employees. It is this togetherness that makes us strong, that makes us special, that makes us successful around the world. It is this “us” that makes our brand! 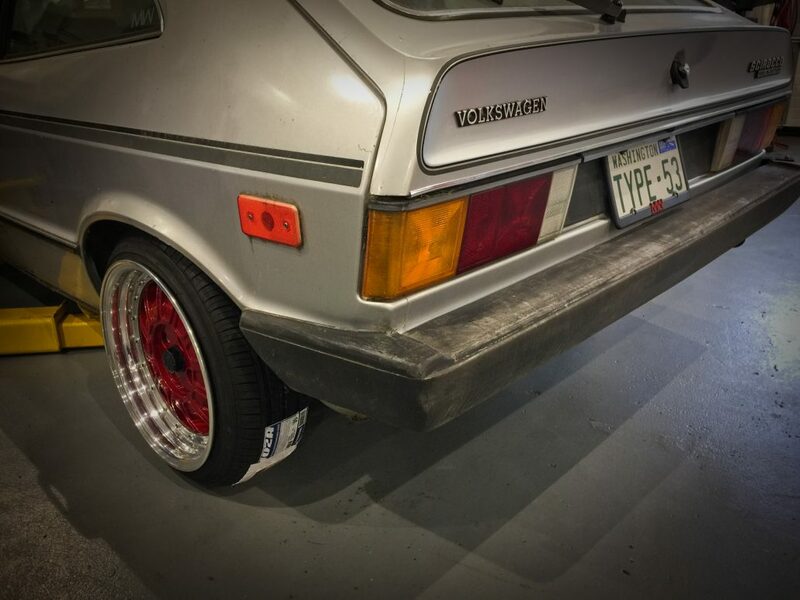 Meister Werks has an special way to convert a OEM wheel into a 3 piece custom wheel. These VW Scirocco wheels have been machined to accept BBS Motorsport racing lips. 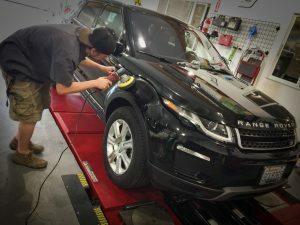 We machine these wheels from a 13″ and upsize them to a 15″ using this technique. We can bolt directly on to this pattern 15″,16″ and 17″ lips and barrels. 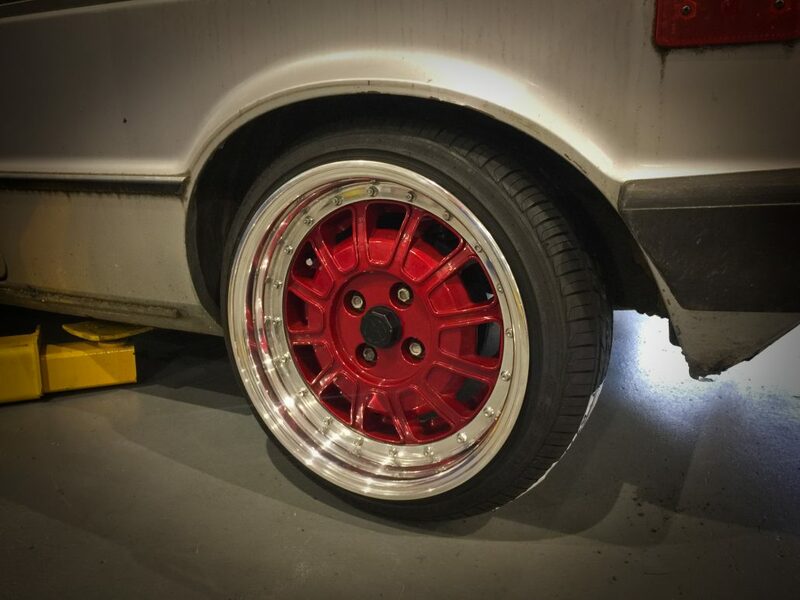 After we converted these 3 piece VW wheels, we powder coated them with a base coat of gold and a top coat of candy lollypop red. Masking the flanges and back side was necessary since we have to seal the back barrel with silicone. The front side uses a gasket also made by BBS. Since these are both flat lip and barrels, there is no way to mount the tires. The wheel must be assembled inside the tires. 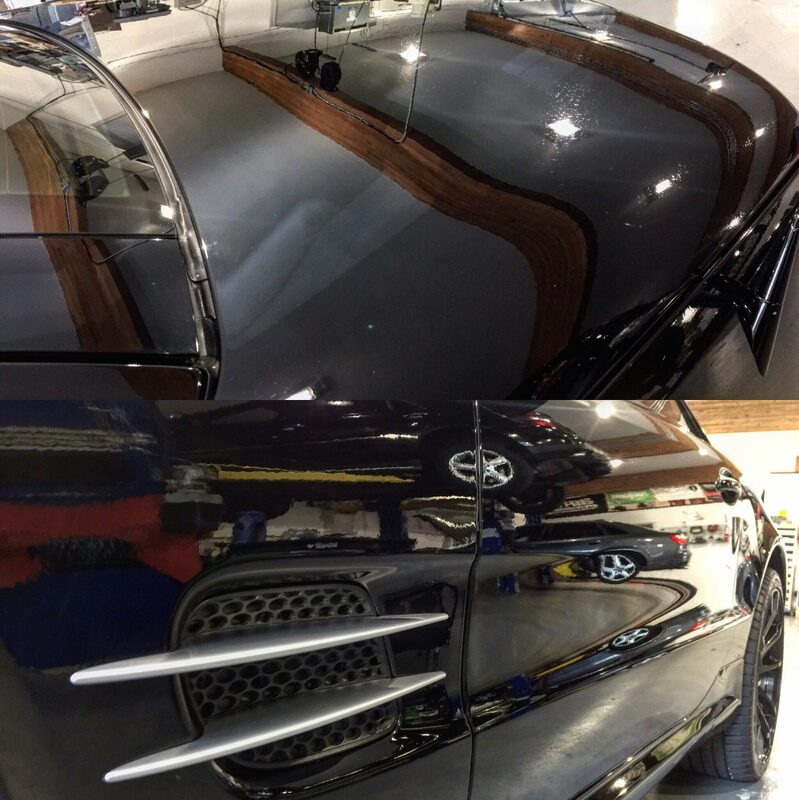 On 16″ and 17″ BBS Motorsport lips, this is not a problem since they are not flat lips. The 16″ & 17″ barrels have a drop that allows the tire mount with a regular tire machine and does not require a gasket. Pricing to convert these VW wheels to a 3 piece wheel starts at $3000 and goes up, depending on machining times, materials and hardware. One day last week was BMW 325i day at Meister Werks European and Import in Renton, WA 1 block south from The Renton Landing. It’s a strange phenomenon how we always see vehicles come in twos. Some weeks it’s twin black Mercedes SL500, other weeks is two BMW X5s. 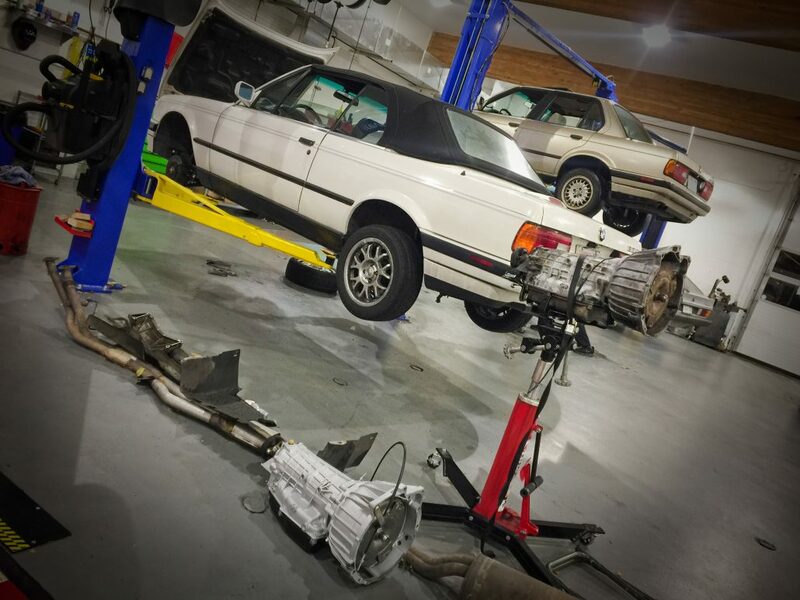 Last week we had two E30 platform, BMW325i in the shop. The white vehicle was in for a new rebuild transmission. We sent the transmission out to get rebuilt and it came back absolutely beautiful. Not only did they bead blast the case, they completely removed all the internals and valve body, then replaced everything with fresh, new parts. BMW E30s are known by BMW enthusiasts as the go to for BMW performance, modifications and tuning. The BMW on the right is a daily driver for a student, while the one on the right is our employee Luke’s car. Both were having problems that we diagnosed with in a hour. 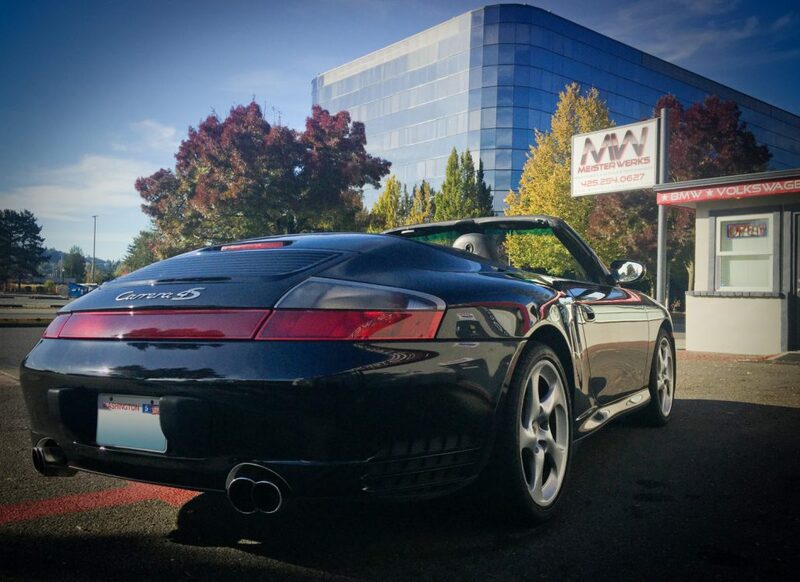 Last week at Meister Werks European & Import in Renton, WA, next to The Renton Landing, we completed a engine rebuild on this Porsche 911 / 996 Carrera 4S. We pulled the engine out and found that bank 1 (cylinder 1, 2 & 4) have very low compression on 2 & 3, zero compression on cylinder 1. We knew right away the engine needed a rebuild. The block was stripped all the way down to the block and rebuilt with all new components. This also included new IMS bearings. Next we had the heads remachined and all new valves installed. That followed by new head gaskets, timing chains and guides. New water pump and other key components were also replaced. After the entire Porsche engine was finished we restored this engine back to it’s 2004 glory. This AWD Porsche flat 6. 3.6L boxer engine puts out 315 hp and 273 ft lbs tq. We will also be breaking in the engine for the customer, which takes about 1000 miles. No red line and no excessive idling will be allowed until after the break in period is over. After that period, we will need to drain the break in oil / filter and replace it with fresh oil. After the break in period, the car can be driven normally or taken to the track for some hot laps. Call 425.254.0627, Email us or come in – 618 Park Ave N, Renton, WA 98057 – 1 block south from The Renton Landing. 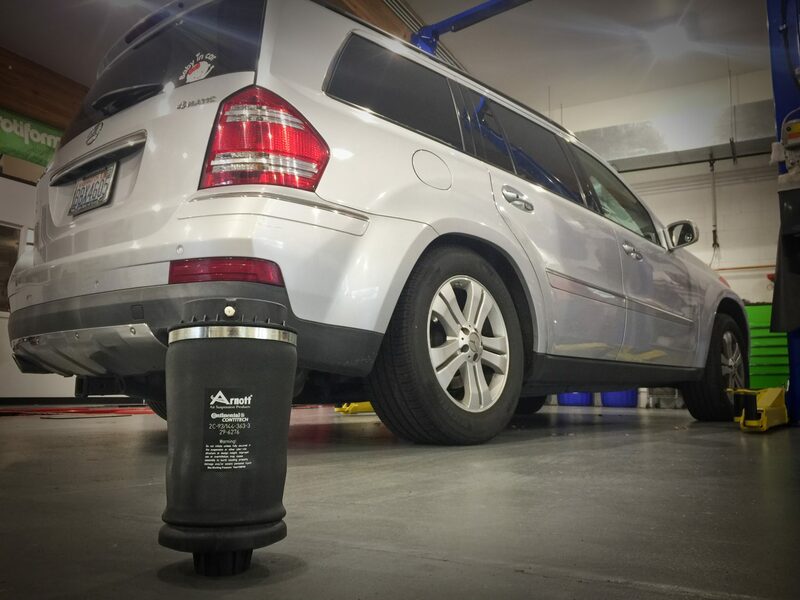 This week we performed a simple test on this Mercedes Benz GL450 air suspension. After looking the factory air bag suspension had failed. 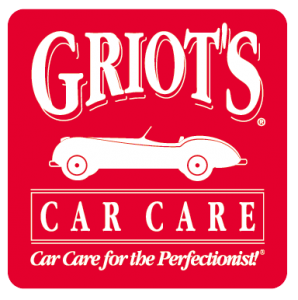 Arnott is the company we use for these bags. 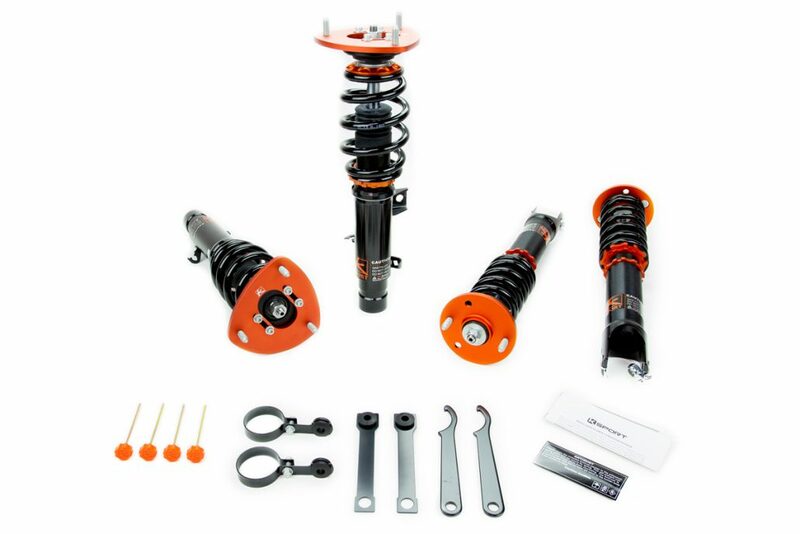 They are a fraction of the price and the same quality as the Mercedes Benz suspension. Factory or original equipment manufactured (OEM) air suspension is a system that auto manufactures use to replace a regular coil spring. The systems have been around for a long time, and contrary to popular belief are very efficient. 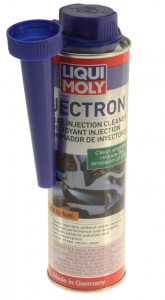 This can increase the suspension’s firmness and rideability for sportier driving, or softer for a more comfortable ride. In these systems the vehicle is equipped with a small air pump and valves. When the car needs to go up, the air pump pumps air into the system via air lines and the pressure raises the car. When the car needs to go down, a pressure relief valve opens and lets the air pressure out thus lowering the vehicle. Next we will talk about damage and failure. Over time, these bags will wear out. It’s typically not the rubber, but the internals that limit the travel of the suspension. These are called bump stops. This is a rubber bushing that will bottom out on rubber and not on the bag or the mounting components.There is the potential, although very unlikely, that the bag could get torn. Another way they can fail is the air bag can start leaking. The air bags are crimped with a metal band and these bands could fail over time and allow air to escape. The leveling sensors are another thing that can fail. Each wheel has a sensor that tells the vehicle’s computer how low or high the car is sitting. Sometimes these fail, typically there will be a warning light on the dash that says something is wrong. Other things that can fail are the air line, connectors, pumps and fittings.  These components can be tested by a authorized shop such as Meister Werks European and Import. We are located 1 block south of The Renton Landing, across the street from Boeing in Renton, WA. Call 425.254.0627 or E-mail today for a quote today! 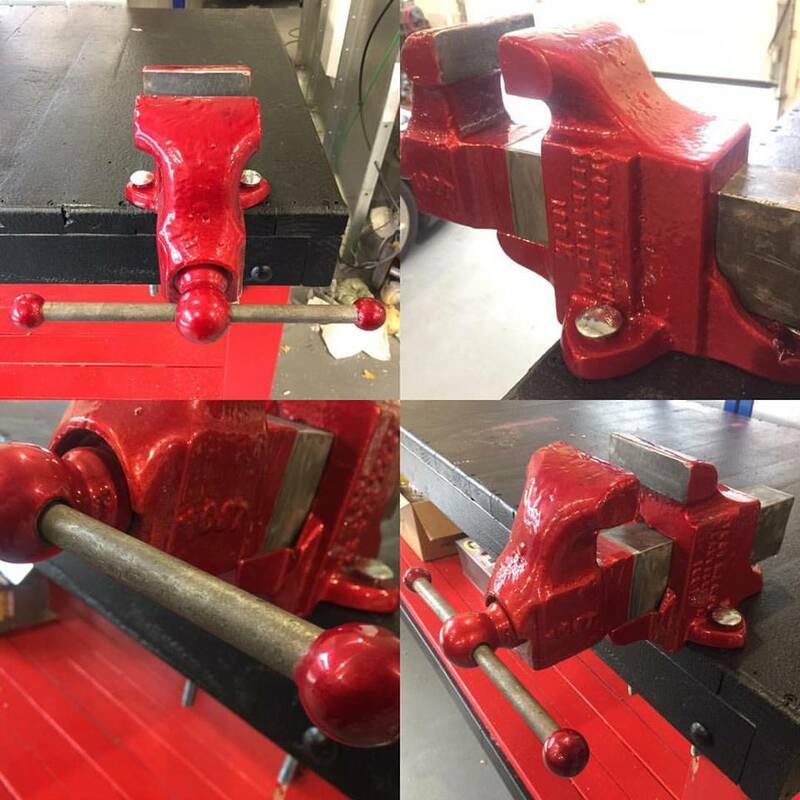 Today at Meister Werks European & Import in Renton, WA, we had a little down time to powder coat our 75 year old vise. Lollypop red over heavy silver, shattered glass and candy gold. Powder coating is process where you take any raw metal (steel or aluminum) and electrostatically applied.